Starting in May, Air Transat is going to be offering non-stop flights from Toronto to Calgary. The new route announcement has not been made yet, but you can already purchase fares, and the prices are a pretty good deal, especially for summer travel. 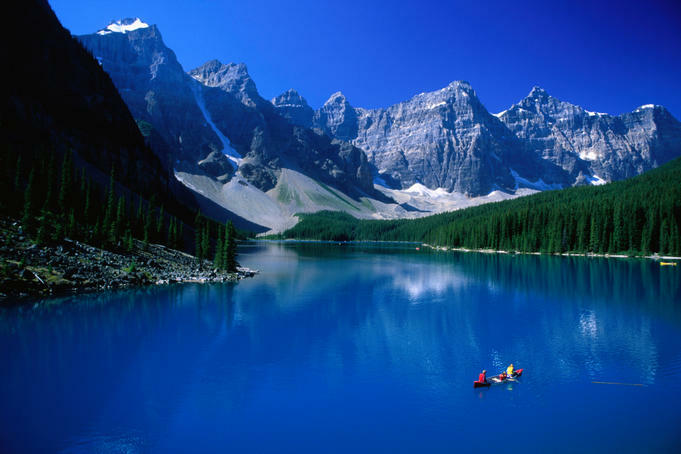 With the weakened Canadian dollar, you may want to keep it domestic this summer and explore one of the most beautiful areas of Canada, the Rocky Mountains. Update @ 1:05 PM EST - The $399 Summer dates seem to be disappearing *fast*. Still seems easy to find $399 dates in spring and fall. Update @ 3:15 PM EST - Made a note of which dates are still alive at $399 CAD roundtrip. Seems to be just a few in June, and some in September/October. The map below will show you some great deals on AirBNB accommodations in an ideal location in Calgary for under $129 CAD/night for 2 people. toronto, yyz, flight deals, air transat, canada, north america, calgary, alberta and yyc. 3 Responses to "Toronto to Calgary (Banff) in summer 2016 - $399 CAD roundtrip including taxes | non-stop flights"
I managed to book through Flighthub, for $444 round trip. HOWEVER, upon calling AirTransat, they told me the same thing that they only have one flight per week from Toronto to Calgary and it is on Tuesday. Flighthub confirms that the outgoing flight on my reservation is on a Thursday. What gives? I booked a return trip YYZ - YYC (departing Oct 6, returning Oct 10th with Air Transat) for $399 through Flight Hub. I then received booking confirmation from Flight Hub but the very next day I find out that they cancelled my booking. First I was told that the airline had cancelled the flight and after explaining that the exact same flights were still available on the Flight Hub website, I was told I can go ahead and re-book online (with the flight now being more expensive). All in all I was speaking to a Flight Hub representative/on hold for 1 hour after asking to speak with a supervisor only to have my call sent through to an automated customer survey and then disconnected. I then did my Flight Hub online research and found out that this happens all the time with them. Sometimes even 24hrs before the flight!!! I definitely do NOT recommend booking with Flight Hub. It appears to be in USD. I tried booking 20 minutes after post went up and that is what I found. for any date. cost then becomes $540 CAD. not really that exceptional then.